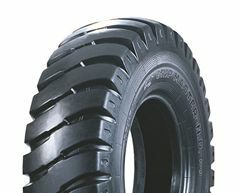 Designed for heavy duty jobs, the GRIPMASTER ND tyre can support heavy grading in extreme working conditions. Specially designed-non directional tread and heavy duty nylon casing increases strength and durability ensuring traction and drive even on the most abrasive surfaces. A special heat, cut and weather resistant compound makes it capable to withstand cuts, snags and bruises. Excellent for off road ground clearing and preparation work.